This cute sweater features an adorable animal print that includes geese, trees, pigs, hens, sheep, and of course, the blue sky. This was originally made by Eddie Bauer. 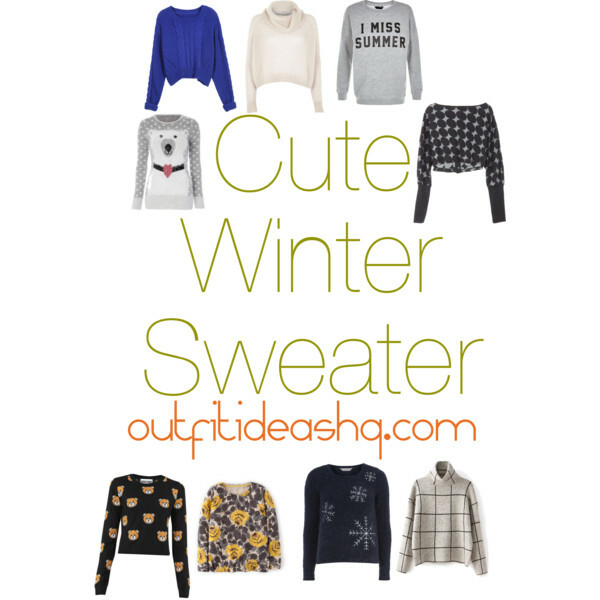 Here a sweater that will spice up your outfit. It has sequins embellishments in black, perfect style because you need that extra glitter during the cold days. When it’s grey and cold, you need color for you to feel really great. This is known to be the “happy sweater”. It’s comfy, slouchy in soft pastel rainbow stripes. Who doesn’t think this is cute? 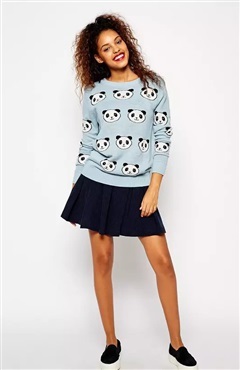 How about this cute panda head print sweater? It’s super adorable. 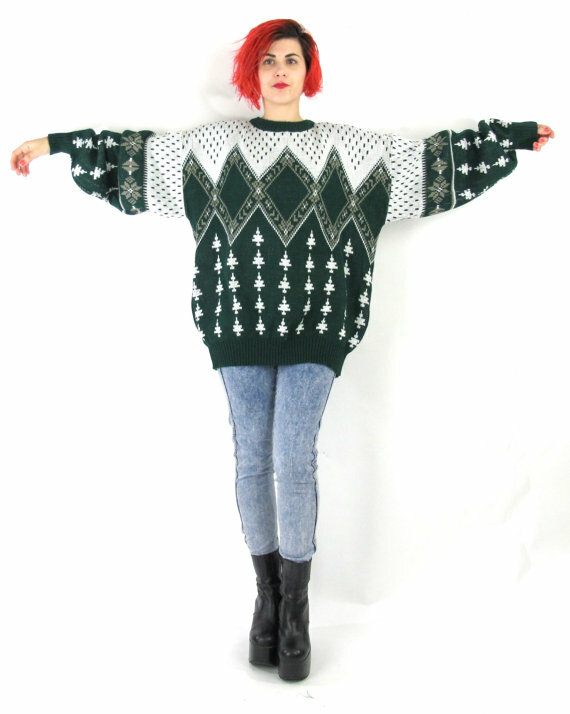 Beautiful forest green and white diamond pattern with mini Christmas trees woven into the knit. 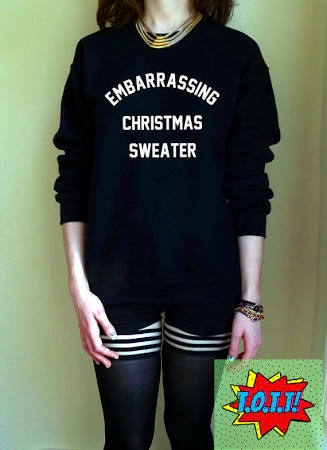 It’s the perfect sweater to wear on Christmas mornings if you’re tired of you old Rudolf the blinking red nose reindeer sweater. Brave the cold with this fashionable asymmetric rib-knit sweater. You can easily wear this with your leather jacket or a shearling jacket, jeans and ankle high boots. Metallic gold and black 80s sweater that looks cozy and chic perfect for casual winter parties. Sometimes, you just can’t be bothered with putting up a very decent or fashionable look but this sweater will make you look like you’ve put an effort with your outfit. We need an adorable oversized sweater to cozy up on days it’s just freezing and we’re too lazy to even do anything. This sweater dress features cable knit patterns and ribbed details around the neck, cuff and hem. You can easily wear this with pointed flats and a boxy clutch. 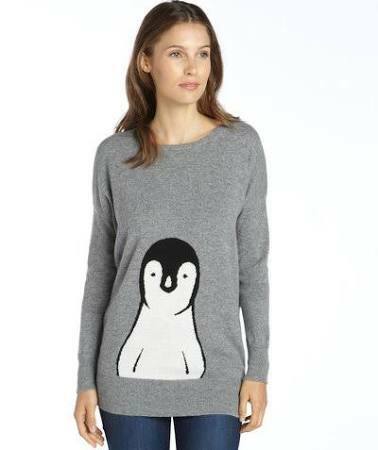 How cute is this penguin sweater? It’s lightweight with soft cashmere knit perfect for slightly chilly days. You need this sweater in your life. The penguin seems to be calling you to get a sweater like this. 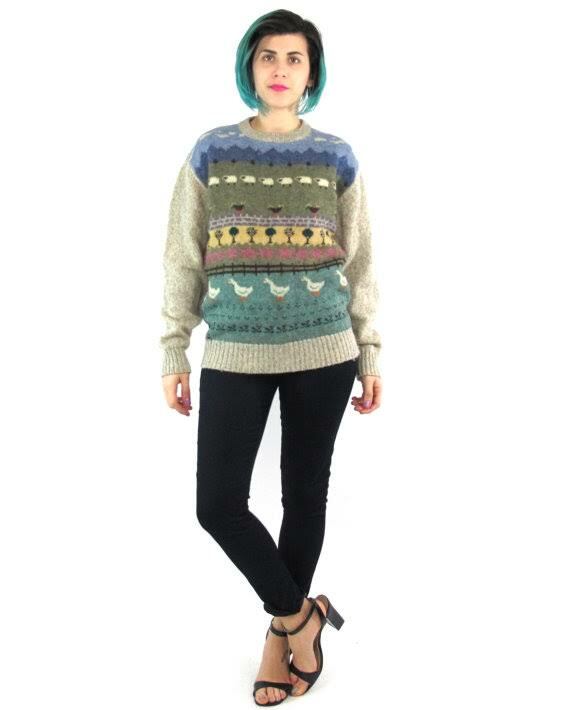 Your sweater collection isn’t going to be complete without these awesome and rad statement sweaters. You need at least 5 of these with different slogans on because these types of outfit will say so much without even opening your mouth. Get these. They’re absolutely brilliant.